The Romeo y Julieta Petit Princess is a short earthy mild-medium bodied Perla, 4" (102mm) long, of 40 ring gauge, and comes in a 25 cigars box. 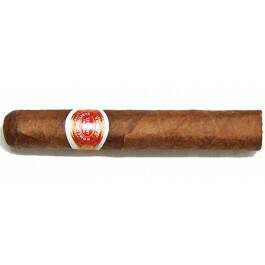 This size by Romeo y Julieta has all the qualities of its factory name, which mean pearl. It is a little Pearl to accompany an aperitif or a good sherry, always in anticipation of the great after-meal Habano. An easy going Cigar ideal for a coffee break.